KIWI’s Christmas Toy Drive 2018 Should You Have Your Air Ducts Cleaned in Your Home? It can be difficult to keep your carpets clean—especially when you live in a busy household of pets, kids, and messy dinners. General wear and tear is expected over the years, but stains and spills can make your floors seem unsightly and older than they appear. Your carpets are a big investment, and you want them to last as long as possible and maintain their looks for as long as you can, but what’s the best way to prevent spills and stains in your household? Here are five of our best tips for protecting your carpet from spills and stains. One of the best ways to protect your carpet is to not let dirt or dust sit and let it sink down, which will make a carpet appear dingy. If it’s not removed, debris and dirt can get trapped into the carpet, making it more difficult to remove. Vacuuming your carpets regularly can help combat the dirt and debris in your home and help your carpets have more longevity. Although many carpets now come with a protectant like Scotchgard, if yours don’t have one applied already, you may want to consider doing so. 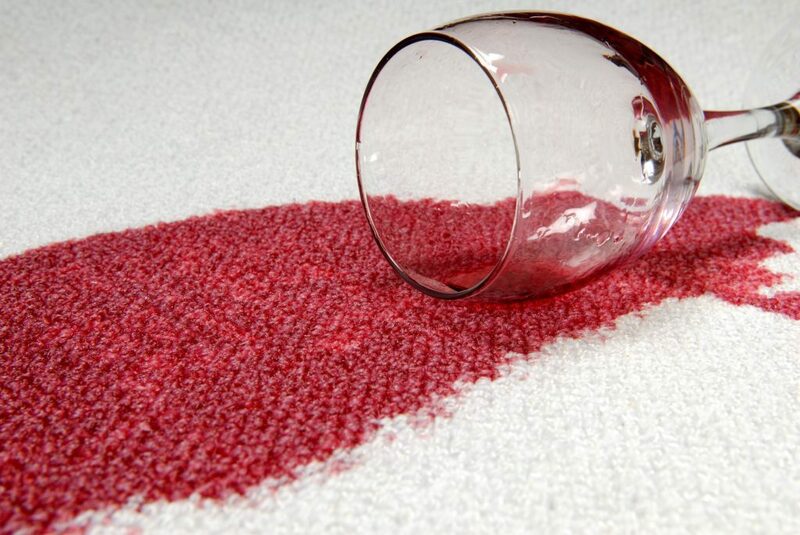 This product actually repels liquids, blocks stains and even resists soil, so you can rest assured that a spilled glass of grape juice won’t ruin your flooring. You can have a professional carpet cleaning apply a protectant for you, which will usually be an added expense on top of a cleaning. You never thought you’d have one of those households, but a good way to prevent stains is to be a no-shoes house. Shoes can track in all sorts of mud, dirt, and not to mention many germs that can track their way inside. It goes without saying that when you see someone spill a liquid or food inside your home, that you should clean it up as soon as you can. Use the dabbing trick (don’t rub stains!) so that you can get up as much of the stain as you can. No matter how thoroughly you vacuum and clean your floors, one of the best ways to protect your carpets from spills and stains is by scheduling a professional carpet cleaning. Not only will this help your carpets last a long time, but it will also eliminate any deeply set stains that are difficult to treat with cleaning products you get at the store. Interested in scheduling a carpet cleaning for your home? Call Kiwi Services today for more information!